And they don't even match. 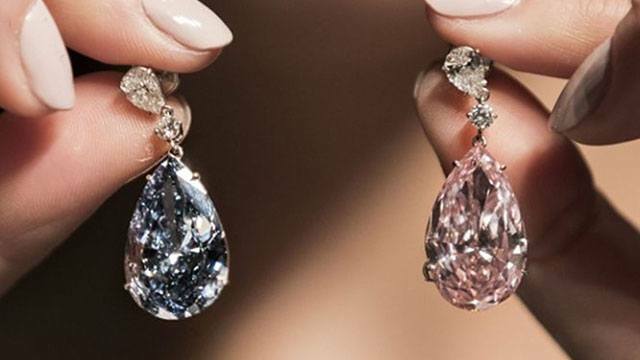 These earrings just set the world record for the most expensive pair ever auctioned after being sold for $57.4 million (P2.85 billion). 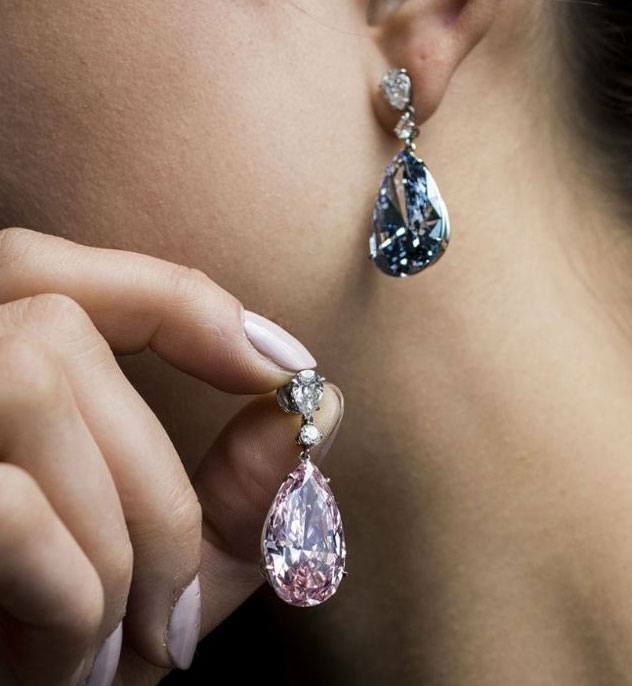 The blue and pink pear-shaped diamonds, named Apollo and Artemis after the Greek gods, were auctioned off at Sotheby's last night. Although sold separately, the same buyer purchased both pieces—the blue for over $42 million (roughly P2.09 billion) and the pink for over $15 million (about P745 million). The Apollo blue is said to be the "largest internally flawless fancy vivid blue diamond ever to be offered at auction," according to Sotheby's. The 14.54-carat gem earned a rare grading of 11b, which accounts for only 1 percent of diamonds in the world. Meanwhile, the 16-carat Artemis pink was classified as an 11a diamond, "the most chemically pure" of its kind. Take a look at them in action below. This article originally appeared on HarpersBazaar.com. Minor edits have been made by the Cosmo.ph editors.